North-eastern Australia, satellite image. North is at top. Clouds are white. Most of the land area is the state of Queensland in north-eastern Australia. Rainforests and vegetation (green) are present in coastal areas, but inland the terrain is an arid desert landscape (brown). 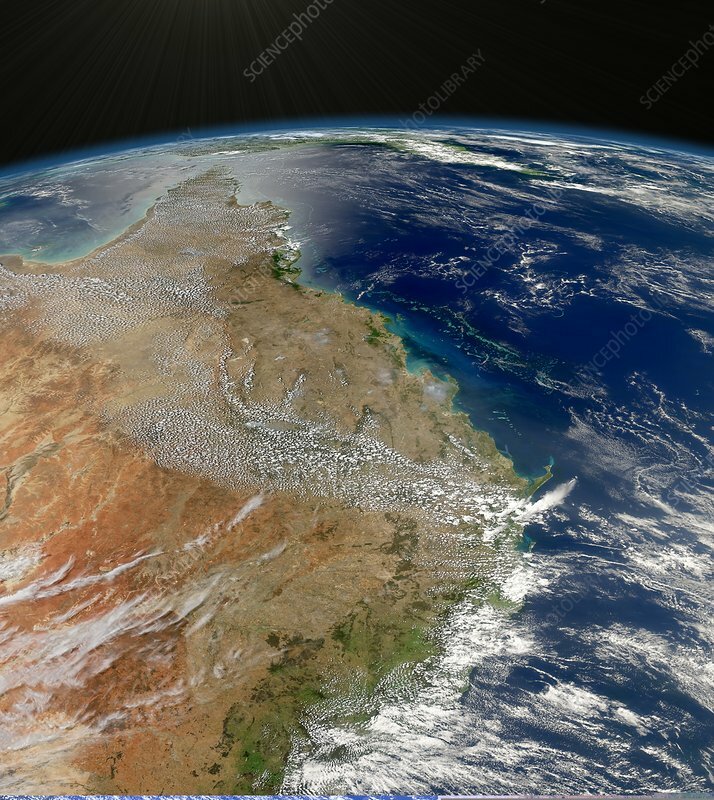 The Great Barrier Reef (upper right), stretches for over 2600 kilometres along the coast. New Guinea is on the horizon, with the Coral Sea at upper right. Image data obtained on 4 November 2008, by the Moderate-resolution Imaging Spectroradiometer (MODIS) instrument on NASA's Aqua satellite, part of the Earth Observing System (EOS).